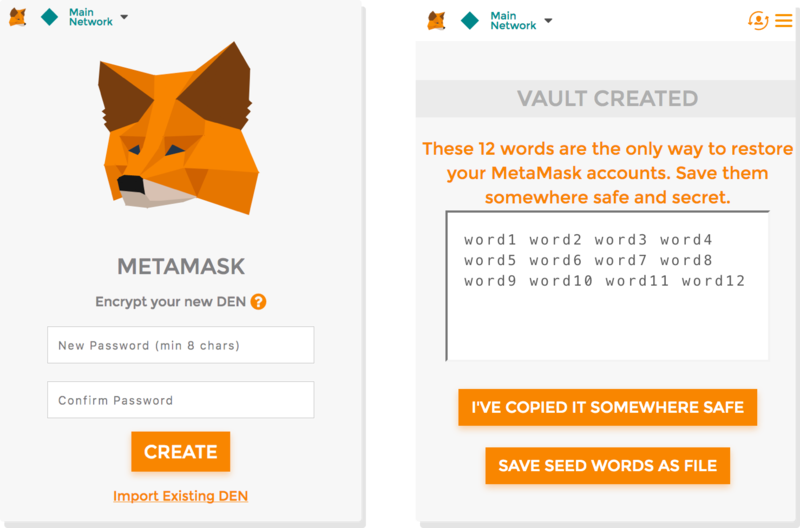 MetaMask is a digital identity on the Ethereum blockchain that operates in your browser. It facilitates trades and operates as an ETH and ERC20 wallet. 1. Download the MetaMask extension via metamask.io (on Firefox, Opera, or Brave) and click on icon in your browser toolbar. 2. Enter your preferred password and save your 12 seed words in a safe place. Never show these words to anyone else! They can be used to restore your wallet if something happens to your computer. 3. You can now store ETH and ERC20 tokens in your MetaMask wallet. 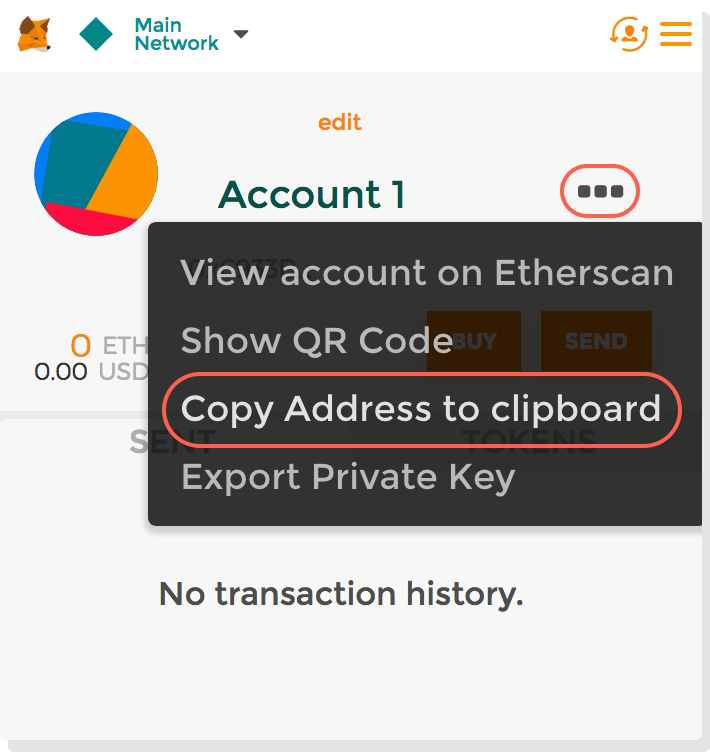 Open the MetaMask menu and click Copy Your Address to Clipboard. This address is used to receive tokens. 4. 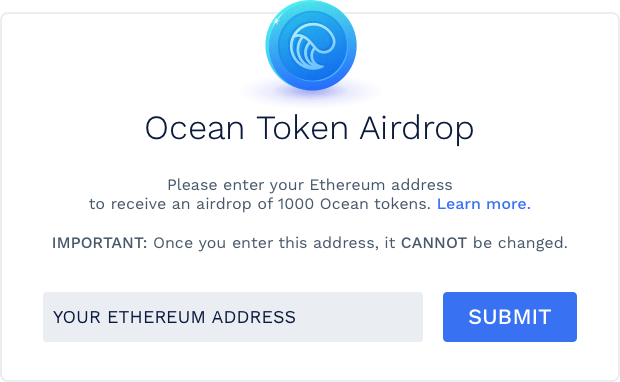 Finally, paste (Ctrl+V) your Ethereum address into the Ocean Token Airdrop form. It should like a long string of letters and numbers.